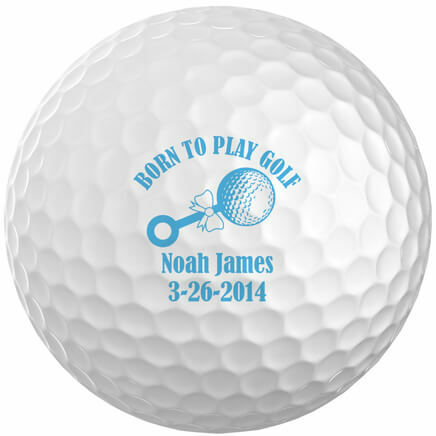 My cousin is an avid golfer and just loved these especially that I had them personalized. 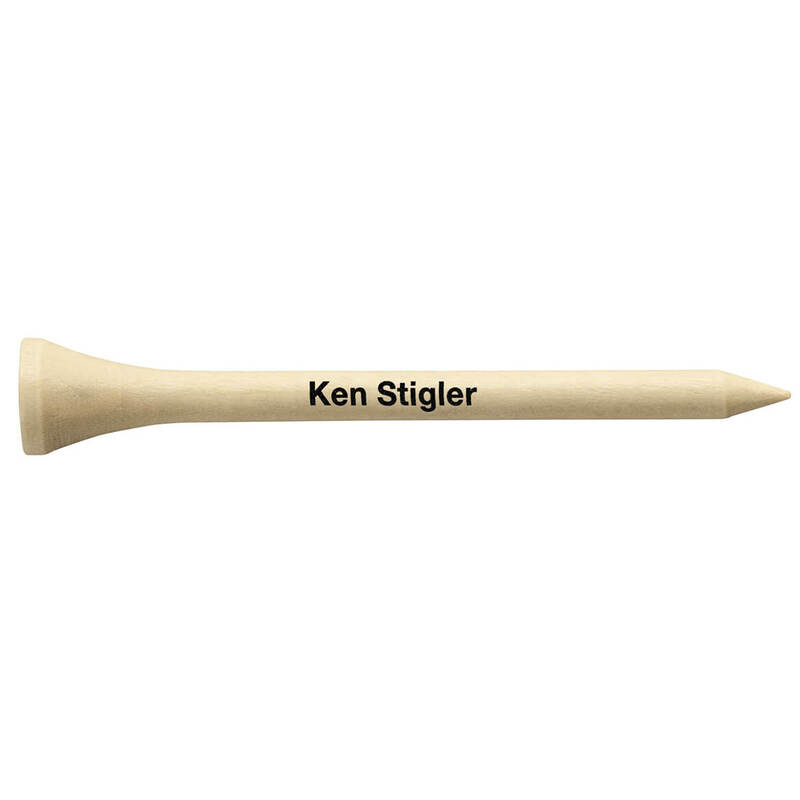 I was very happy with the quality and quantity of the personalized golf tees and it is the perfect gift for a person (golfer) who has everything. My husband always needs tees to play golf. 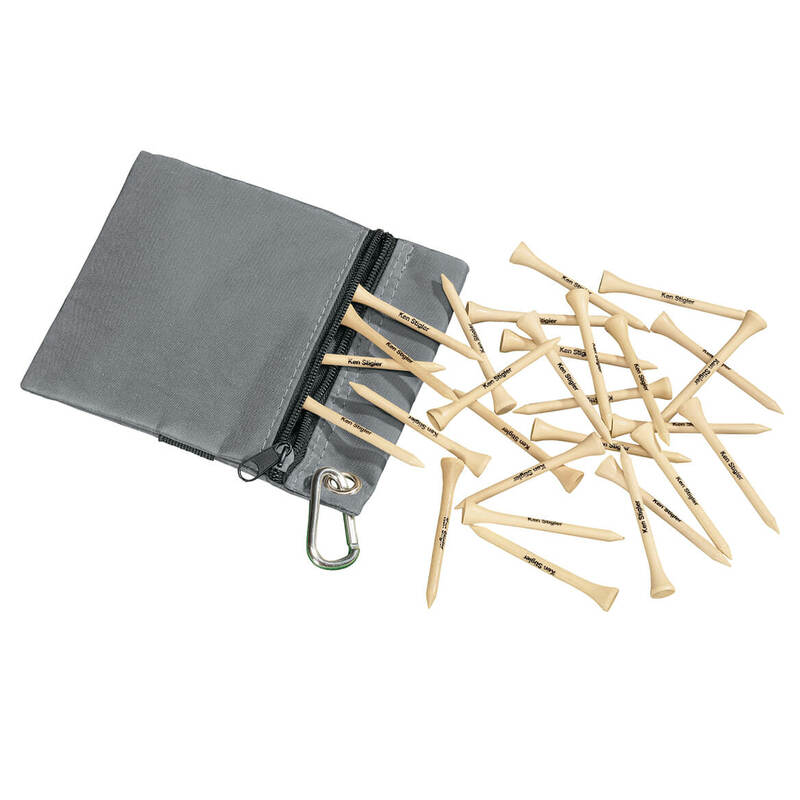 Great gift for the golfer who has everything! 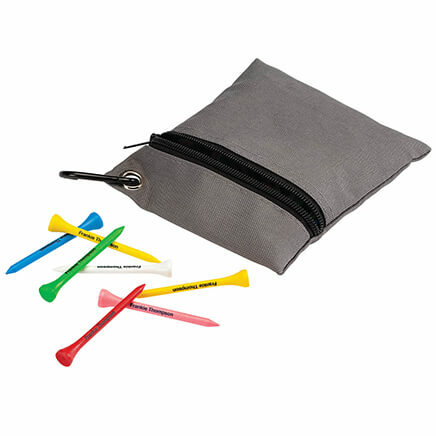 The storage bag has a handy clip so the golfer can easily attach the tees to the golf bag. Printing was clear and crisp--easy to read. 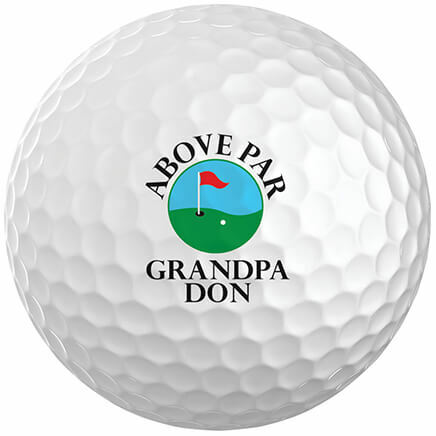 Ordered some time ago for golfer son. HE'S HARD TO BUY FOR, AND HE LOVES GOLF!! I got these for my step son. He loves to play golf and my husband seemed to like them when I approached him with the picture. My husband said he would rather these than the personalized golf balls because he said he needed a certain type. I hope he likes it! GOLF TEES FOR GRAMPY AND CADE! It adds a little "class" to have a name on each tee. My Grandson said he lost all his tees so these are replacements. I SEEN THESE IAT MILES KIMBALLS WHERE I WORK. THEY ARE SO CUTE. My grandson is on the high school golf team and it looks "cool" to have the high school mascot on his tees. Use them for eating ears of corn! If they get thrown away, so be it. . . great idea. Needed these to go with his personalized towel. Because I thought they would like this item. you get a lot of tees economically. My brother golfs...another stocking stuffer. MY GREAT NEPHEW LOVES THESE. Personalized tees will be easier to find! I chose these for my grandson golfer. My fiance, his father, and brother, along with 2 of their closest friends are all avid golfers (several of them former PGA!!) 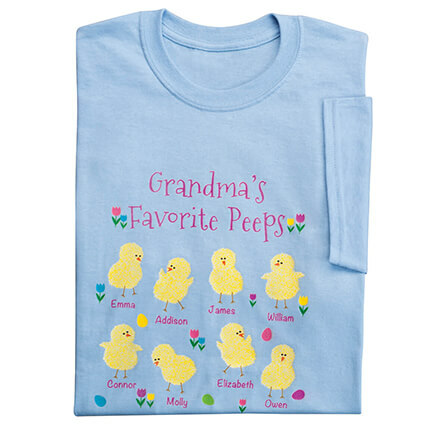 and these personalized tees seemed like the ideal Christmas stocking stuffers!!! Perfect!!! My friend loves golf and these custom tees are awesome! The carry bag seems very useful! Something my nephew will love!